Last month saw the launch of Samsung Galaxy M20 and Galaxy M10 smartphones in India. With the two smartphones, Samsung replaced its Galaxy On, Galaxy J and Galaxy C series with Galaxy M series. The smartphones are priced in the budget segment and with them, Samsung plans to retake the top slot that it lost to Chinese smartphone brand Xiaomi. And luckily for Samsung, Indian customers gave the Galaxy M20 and Galaxy M10 smartphones a warm welcome. 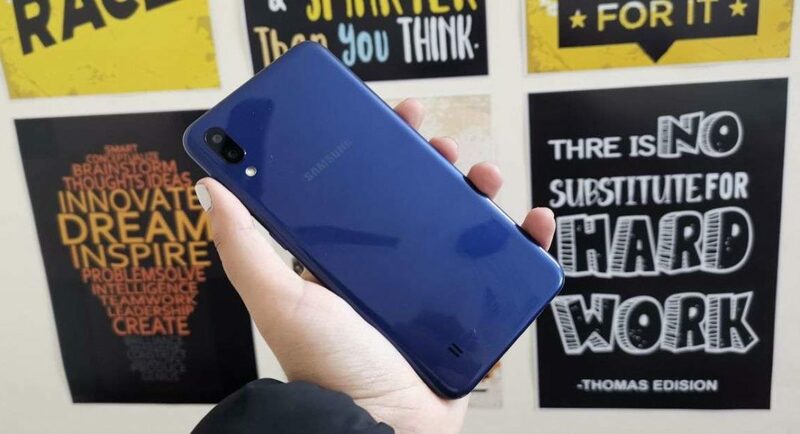 And now, barely two weeks after the two smartphones got launched, the specifications of Samsung Galaxy M30 have surfaced online. According to a report in iGyaan, the upcoming smartphone will sport a 6.38-inch display that will come with a resolution of 2220x1080px. The report further says that Samsung Galaxy M30 will sport a 16MP front-facing snapper that will be housed in the smartphone’s waterdrop-shaped notch. The device features a triple rear camera setup on its back panel that has a 13MP sensor with an f/1.9 aperture and dual 5MP sensors with f/2.2 aperture. Among these, one will be a wide-angle sensor and the other will be a telephoto sensor. According to the report, Samsung Galaxy M30, much like Galaxy M20 is powered by a 5,000mAh battery. Furthermore, it will reportedly come with a 4GB of LPDDR4x RAM and 64GB of eMMC inbuilt storage. Also, like Samsung Galaxy M20 and Galaxy M10, it will be able to hold a microSD card of up to 512GB. The report also said that Samsung plans to launch the smartphone in the first quarter of 2019. The report further said that Samsung Galaxy M30 will be available in March in India, soon after Galaxy S10’s launch. Speaking about the specifications of Samsung Galaxy M10, it runs Android 8.1 Oreo and features a 6.2-inch HD+ TFT display. The device is powered by the Exynos 7870 processor clubbed with up to 3GB of RAM and 32GB of onboard storage. On the camera front, Samsung Galaxy M10 comes with a dual rear camera setup with a 13MP sensor and a 5MP ultra-wide sensor. For selfies, there is a 5MP front-facing snapper and houses a 3,400mAh battery. Coming to Samsung Galaxy M20, the smartphone sports a 6.3-inch full HD+ display and runs Android 8.1 Oreo. Powered by an octa-core Exynos 7904 processor, Samsung Galaxy M20 comes with up to 4GB of RAM and 64GB of onboard storage. Samsung Galaxy M20 has the same dual rear camera setup as Galaxy M10, but it has a better 8MP selfie camera. The device has a massive 5,000mAh battery.